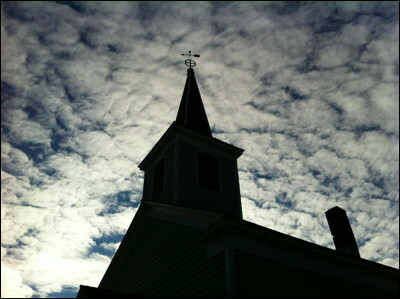 Church and autumn sky in the historic gold mining town of Jacksonville, Oregon. Photo taken on October 30, 2011. This is the St. Andrews Methodist-Episcopal Church where my Grandparents Doty were married in 1916.